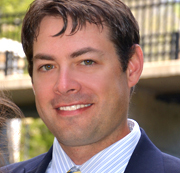 Mike established Collie Financial Planning, Inc., located in Asheville, North Carolina, in 2005. He is a Certified Financial Planner™ (CFP®), an Accredited Investment Fiduciary® (AIF®), a Certified Kingdom Advisor® (CKA®), a National Association of Personal Financial Advisors (NAPFA) Registered Advisor, and a member of the Financial Planning Association (FPA). He obtained his Bachelor's Degree from Robert Morris University in Pittsburgh, Pennsylvania in 1994 after graduating in three years, and completed his Certified Financial Planner™ educational program with the College for Financial Planning in Denver, Colorado. As a local expert on financial matters, Mike has contributed monthly columns to the Journey Christian Newspaper and Asheville Citizen-Times' publications WNC Parent and Mountain Maturity. While Mike's clients certainly value his experience and understanding of complex financial issues, they consistently convey that his ability to understand their personal goals and objectives, and clearly communicate a plan to achieve them, is what they have come to value most about their partnership with him. This unique ability to mesh knowledge and experience with interpersonal and communication skills is what sets Mike apart from his peers within his industry. "I believe that there are a handful of competent Financial Advisors serving Western North Carolina," comments Mike, "but there is certainly a tremendous need for a financial planning and investment management firm that can help clients incorporate what is important to them in life with what makes sense financially. Combining competent and diligent financial planning with purposeful life planning is the only way to achieve true Financial Freedom. That's what I am deeply passionate about bringing to my clients." Mike lives in Montreat with his wife, Randi, and their three boys. He volunteers in various roles at Asheville Christian Academy, attends Christ Community Church Montreat (EPC), and is involved in coaching his sons' sports teams.